Priority First Aid supplies high-quality first aid kits for industrial settings, schools, businesses, and homes and provides a first aid training course in Brisbane. We offer our accredited courses onsite when it is convenient for you. We also offer live low voltage rescue and CPR training, and all our training includes the use of an AED to help when someone is experiencing sudden cardiac arrest. Even if your business isn’t involved in an industry that is considered accident-prone, first aid training for your employees affords you many benefits. For example, your employees’ morale increases when their well-being is a priority within the company. It also increases workers’ safety consciousness, so they become more aware of good safety habits and procedures. When an accident or medical emergency occurs, quick action can save lives. Our first aid training course allows employees to practice procedures, to enable people to stay calm and react quickly. The benefits spill over into people’s everyday lives because employees take their skills wherever they go, and society profits from the training gained at work. Some industries see more accidents, and first aid training can be critical to prevent further injury, especially when emergency services are expected to take some time getting to the site. We can discuss the nature of your business to tailor individual sections of the training to focus on incidences that would have a higher probability of occurring. 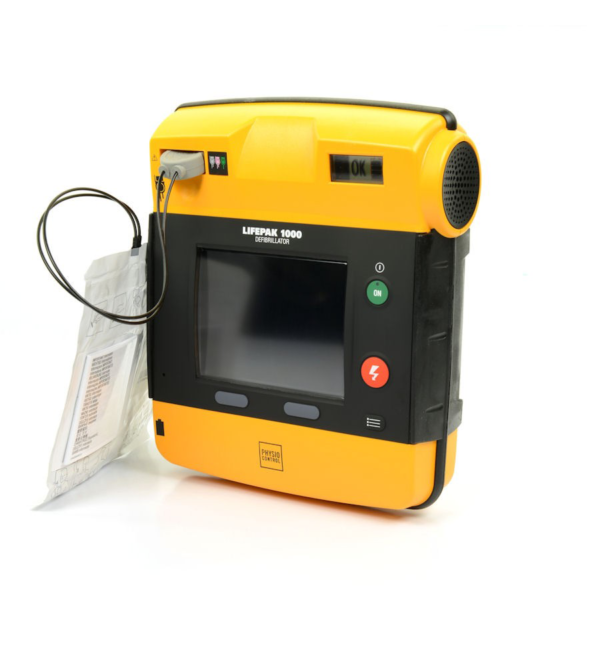 An AED, or automated external defibrillator, is a small device that can detect erratic heart rhythms and delivers pulses of electricity to re-establish a normal heartbeat. AEDs are stocked in schools, businesses, sports facilities and more in recent years because they have proven to be much more effective in correcting arrhythmias. An arrhythmia occurs when the heart is beating inefficiently and is unable to pump sufficient blood. Cardiac events are one of the leading causes of death, but fast response can save lives. It is estimated that upwards of 95% of people having cardiac arrest will die before they reach the hospital if life-saving measures aren’t taken. For every minute a person goes without CPR or defibrillation their chances of survival decrease by 10%. Using an AED within 3 minutes of the onset of symptoms increases the likelihood of survival by 75%. People sometimes have cardiac episodes at work and having an AED available for quick use can save your employees’ lives. Even though we include directions with an AED, training allows users to act quickly and remain calm during critical times. Our CPR and first aid training both include how to follow prompts when using an AED. 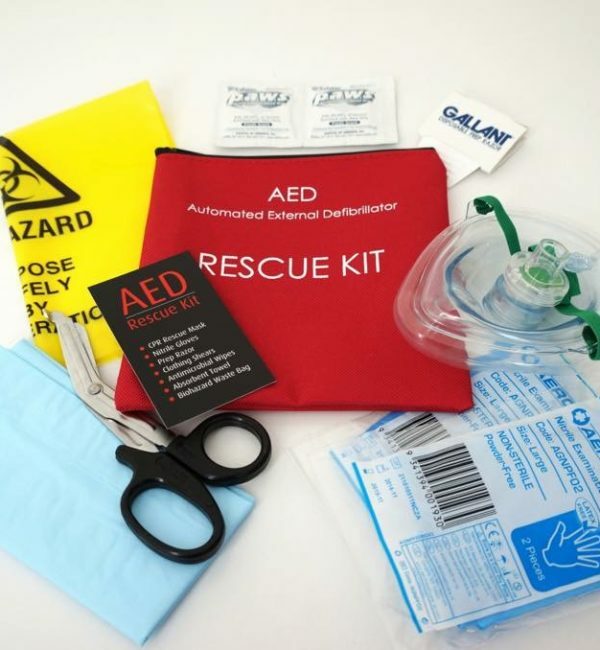 If you have any questions about what type of AED or first aid kits you should stock at your business or if you would like to set up an onsite first aid training course in Brisbane, contact Priority First Aid. Our highly-qualified staff will discuss your business to tailor a solution for your needs.